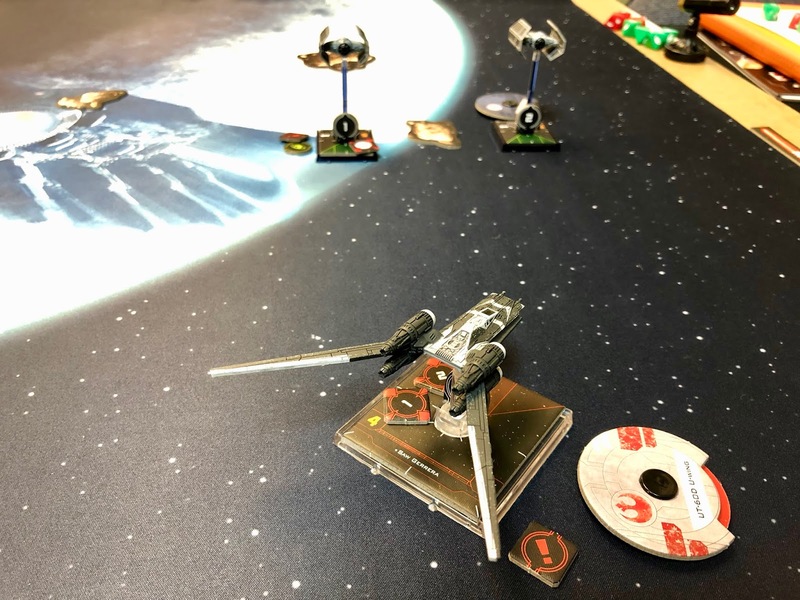 I got to play Reno first, and he brought three TIE Advanced x1, with Darth Vader, Marek Stele, and Ved Foslo. 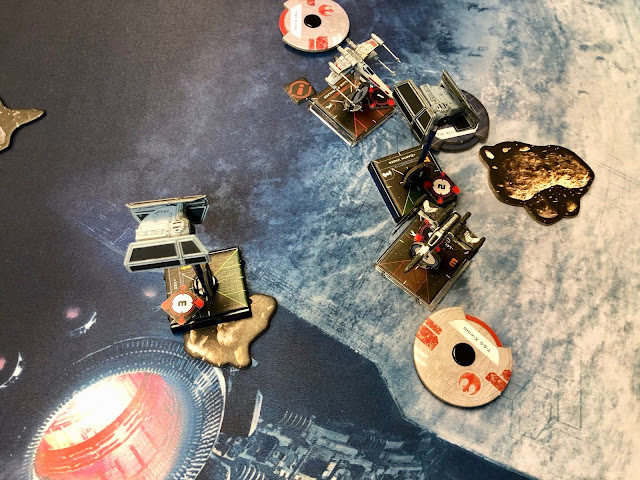 Saw Gerrera was separated from his X-Wing escorts pretty early and was quickly shot down by a pair of TIEs. Skywalker and Tenza focused down Ved Foslo's TIE and there was quite a furball at close range, leaving a single survivor for each side. The game came down to Skywalker vs. Stele, and the Imperial fighter ended up with the win. A close game down to the end, but a beat-up Red 5 couldn't quite pull it out. Still looking for my first victory. Second game would be against Steven and a pair of Imperial heavies. 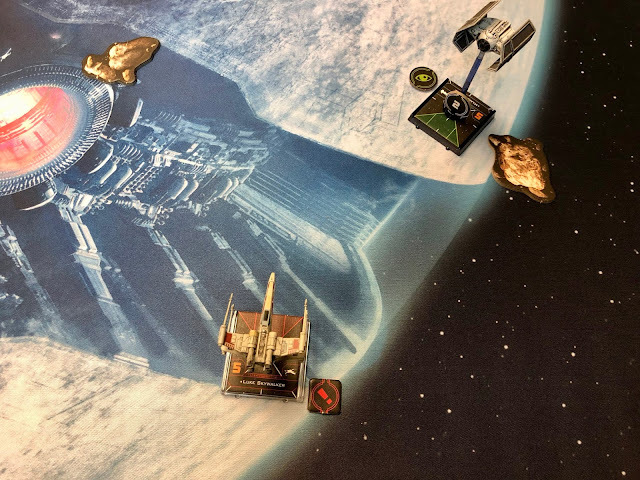 A heavily equipped Decimator and a supporting TIE Reaper quickly took down Skywalker, with lots of dice modification and automatic damage dealing. I almost took out the support ship, but couldn't quite get a kill. That Decimator had something like 17 Hull/Shield points, and could dish out 4-5 points each round. Just didn't have the firepower to even scratch it. SOme good quick games by the look of things. 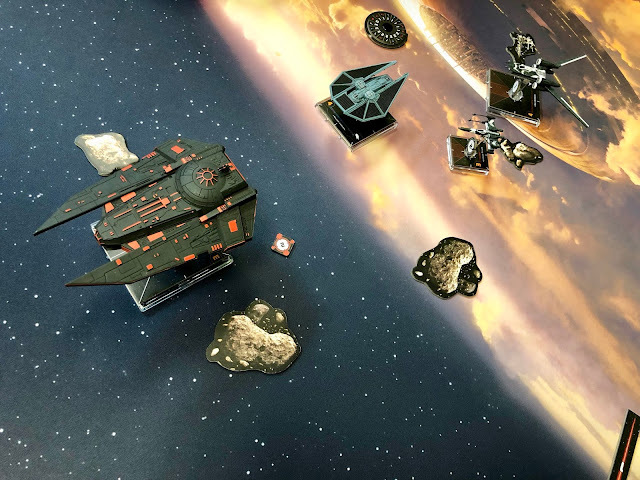 How do you like the new rules versus version 1? 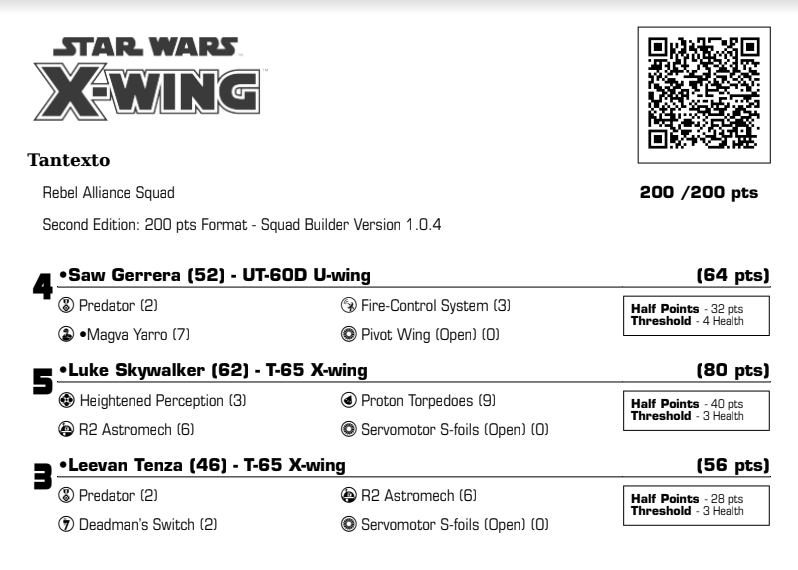 I like the new Force points for pilots like Luke and Vader, and I'm glad they streamlined many of the cards out. The old game had become so big it was hard to build a list. Not sure how I like the app-based list builder, but the ability to change the points of unbalanced items should make things easier than having to go look for an FAQ.